As a hotelier, you work hard to juggle multiple departments and concerns at any given moment. From reservations to check-ins, housekeeping, revenue management and the well being of guests, you are under a lot of pressure to ensure your property is performing at peak service levels. Maintaining a consistent focus on smooth hotel operations makes it even more difficult to identify where you fall short in pleasing guests, also known as Guest Intelligence. But what is Guest Intelligence, exactly? The 2015 TripBarometer report, which was released two weeks ago by TripAdvisor, showed that “60% of Hotels Invest in Online Reputation Management Solutions compared to the previous 12 months[i]”. So if your property isn’t actively monitoring your online reputation and leveraging the Guest Intelligence available to you to make crucial operational and service improvements, your property could lose bookings to the hotels that are. Guest Intelligence is the in-depth analysis of online reviews and guest satisfaction survey data – which includes both during- and post-stay surveys, to provide detailed insight into what guests like and dislike about their stay, and determine how to improve hotel service. By collecting and analyzing guest feedback, you no longer have to guess which actions will improve a future guest’s stay. From a single, easy-to-use dashboard, check exactly which areas/departments of your property are performing well and which need improvement. From there, you can identify what operational and service changes are necessary and implement them in order to increase guest satisfaction. Why Are Online Reviews Important for a Hotel? The Global Review IndexTM (GRI – ReviewPro’s exclusive online reputation score, used for reputation management for hotels by thousands of hotel properties worldwide) requires a minimum of 25 guest reviews to rank a hotel’s overall reputation and competitive position. How Does Guest Intelligence Help a Hotel to Improve their Online Reputation? With increased guest satisfaction (due to the operational/service changes that you have implemented based on the Guest Intelligence data), your hotel will receive fewer negative reviews – and in many cases, an increase in positive reviews. As the number of positive reviews increases, your property’s online reputation will also improve – a factor that can have a significant impact on your property’s overall revenue. Would you like to improve the guest experience at your property? “Given equal pricing, guests are 3.9 times more likely to choose the hotel with the higher reviews,[vi]” making it a highly valuable practice to proactively monitor and manage guest reviews. Beyond collecting and analyzing Guest Intelligence for actionable insights and using feedback to make necessary operational changes, we suggest that you make it a priority to respond to guest reviews. Did you know that “87% of survey participants agreed that an appropriate management response to a bad review improved their impression of the hotel[vii]”? That means that you have the ability to almost completely neutralize the impact of a negative review if handled correctly. Ideally, you should respond to all reviews, but if time and resources don’t permit, you should (at least) respond to any negative reviews, as well as those that asked a question, require a direct response or clarification. 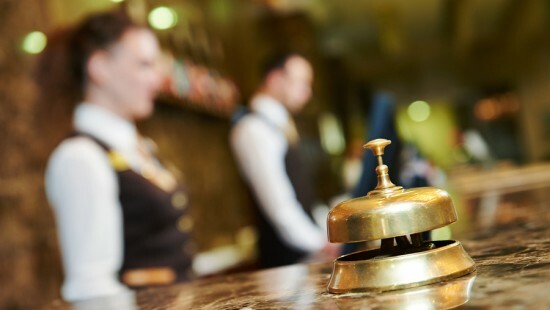 More now than ever, all hotels must integrate an online reputation management strategy into their revenue management and operational plans. By doing so, you will have an effective way to proactively increase your property’s online review volume and freshness, bookings and drive revenue. Need help managing guest feedback?